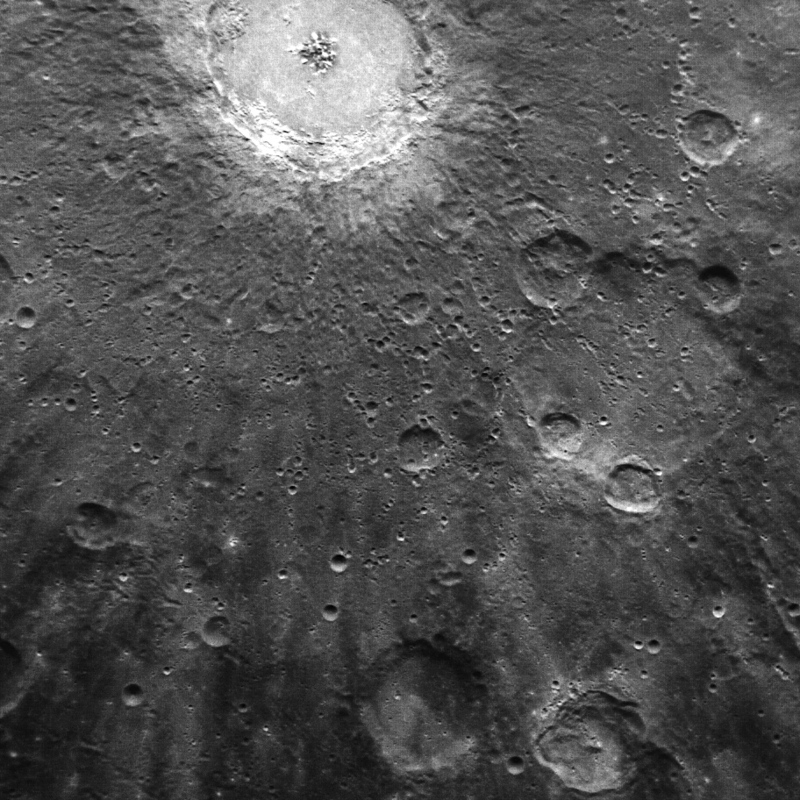 One of the newest images from MESSENGER, now nice and comfy in orbit around Mercury, is of the bright Debussy crater and part of its extensive system of surrounding ejecta rays. The crater’s jagged central peak can be seen in this top-down view from the spacecraft’s narrow-angle camera (NAC). Also, here’s a new image of Debussy taken with the spacecraft’s wide-angle camera showing more of the ray structures. Named for the French composer Claude Debussy* (of “Claire de Lune” fame), the crater itself is approximately 50 miles (80 km) wide. It was first detected by ground-based radar telescopes in 1969 as a bright spot…and now, 42 years later, we have a spacecraft staring down at it and sending back images in amazing detail! Awesome. Read more about this image on the MESSENGER site here. Looking forward to many more new views of the first planet in the days, weeks and months ahead! *It’s become the practice of naming features on Mercury after historically important artists and composers from around the world. Previous Post Is Mercury Hiding Water Ice?